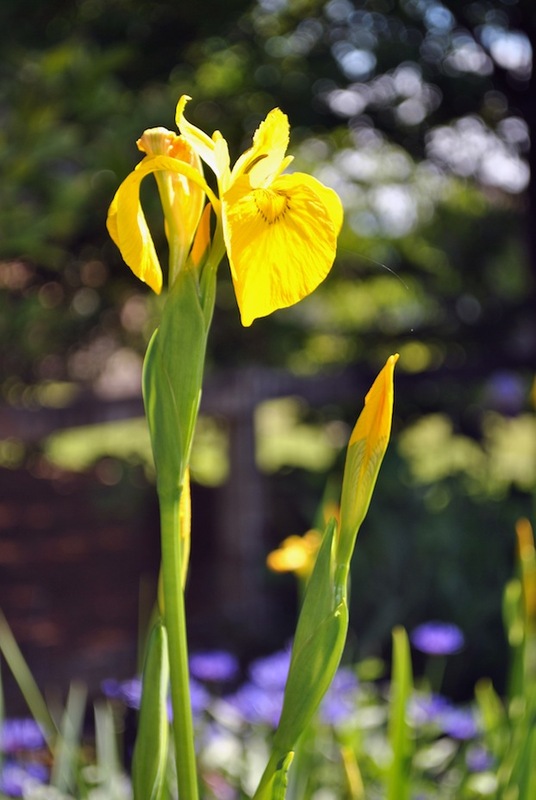 I could not resist sharing the beautiful flowers that grace my garden in May, and the beneficial pollinators and insects they attract, with this photo essay. 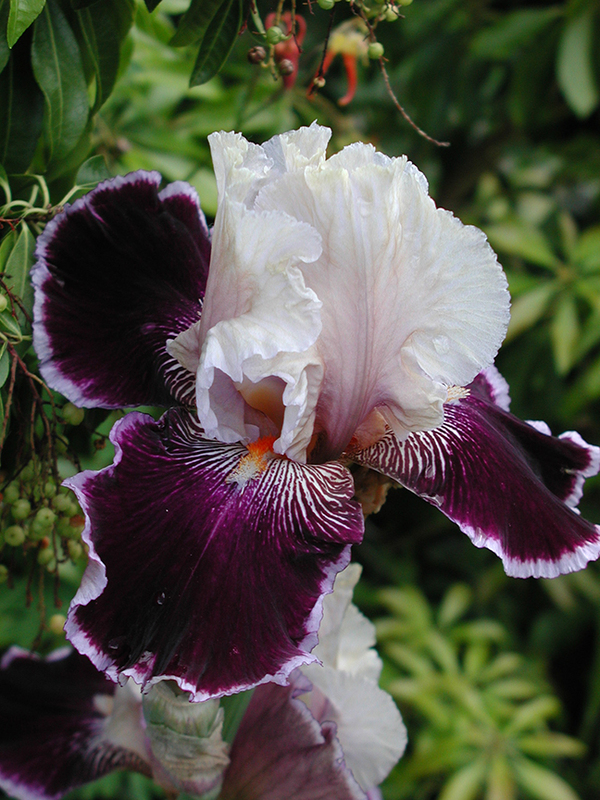 We were conscious about planting to have a continual progression of blooms as close to year-round as possible. 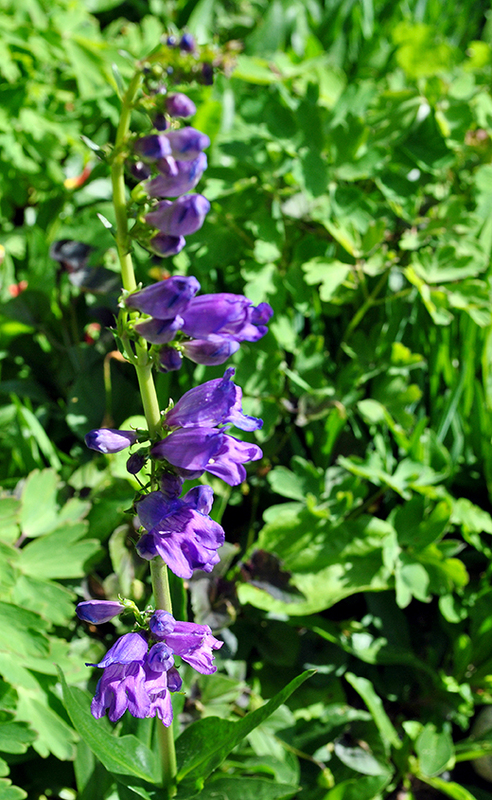 The garden is a riot of color beginning in April and lasting through October. May is one of the best months though—enjoy! 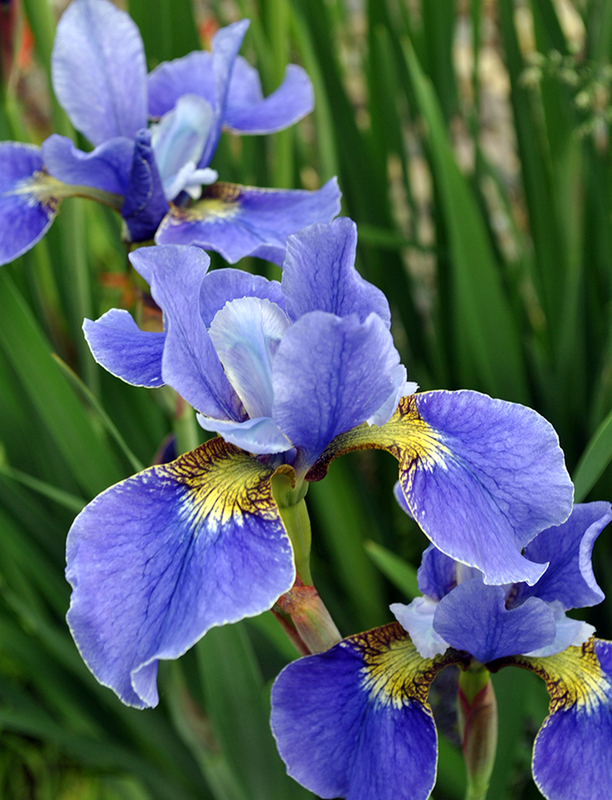 As much as I love using native plants, I must confess my love of Irises which stems back to childhood. Consequently, I have a variety of them in the garden—both native and not. 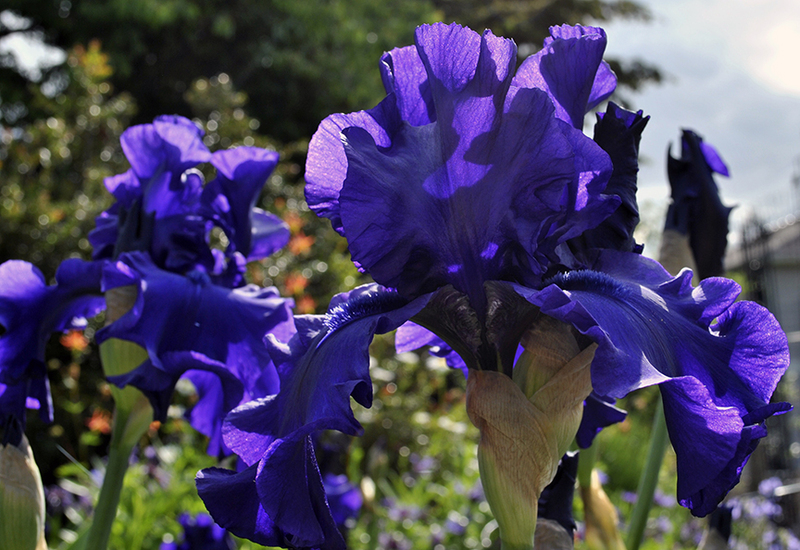 These incredible irises came from COSTCO (believe it or not). Their color varies from almost black to navy blue to royal purple depending on the quality of light. The blooms are huge too! 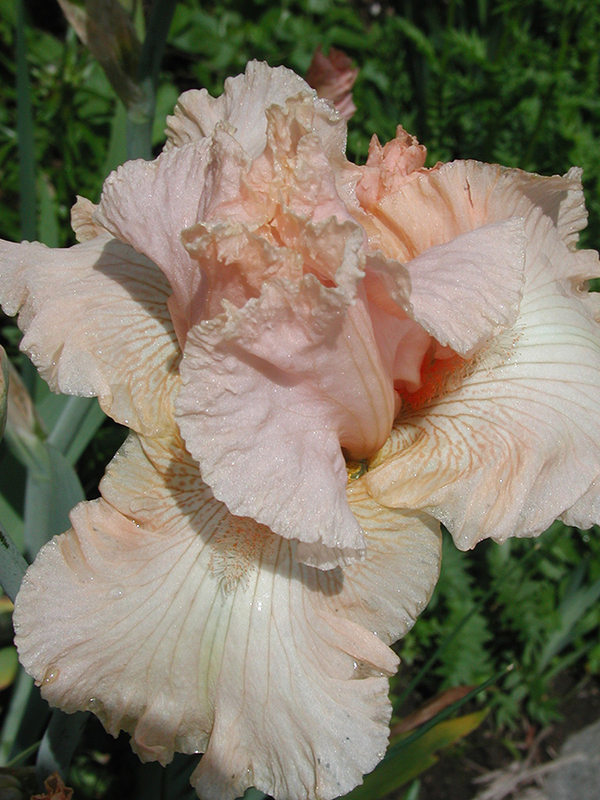 The peach and two-tone purple also hail from COSTCO, and the purple-yellow combo came from a neighbor who was dividing an overgrown bed. 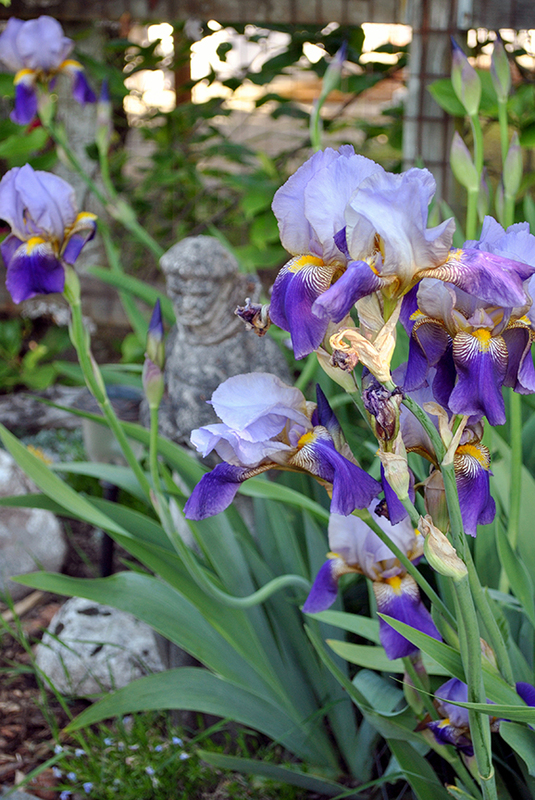 About 10 years ago, I bought one Siberian Iris plant. A few years ago it had reached the point where it needed dividing (the rule is when there’s a space “big enough for a cat to sleep in” at the center). We split it up and planted it along the front of the house. It also managed to deposit a few volunteers along the way. I could now supply a small florist shop with cut flowers! 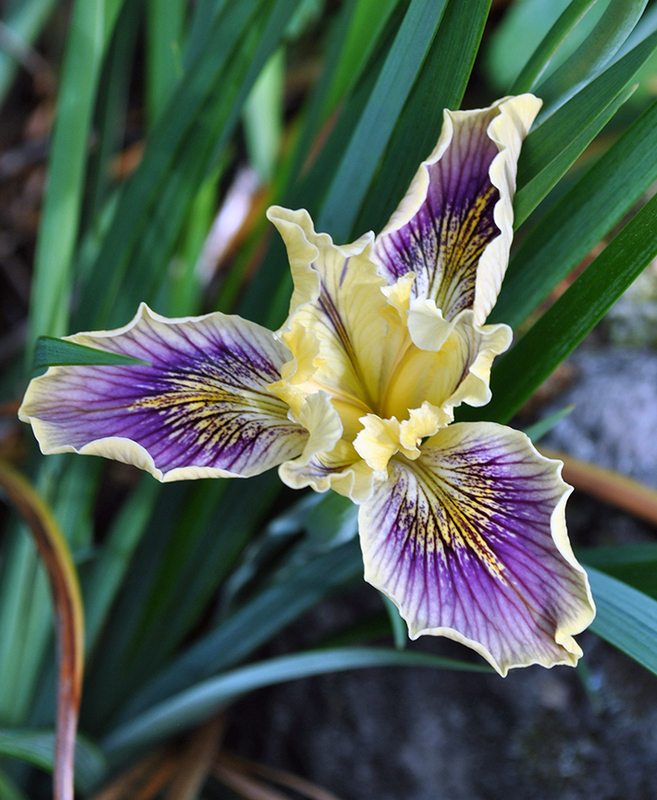 Native irises are more fragile than their domesticated cousins—hence their beauty is more delicate. I have thee variety: a short, shade tolerant white, a leggy, bright yellow, and a yellow-purple combo. 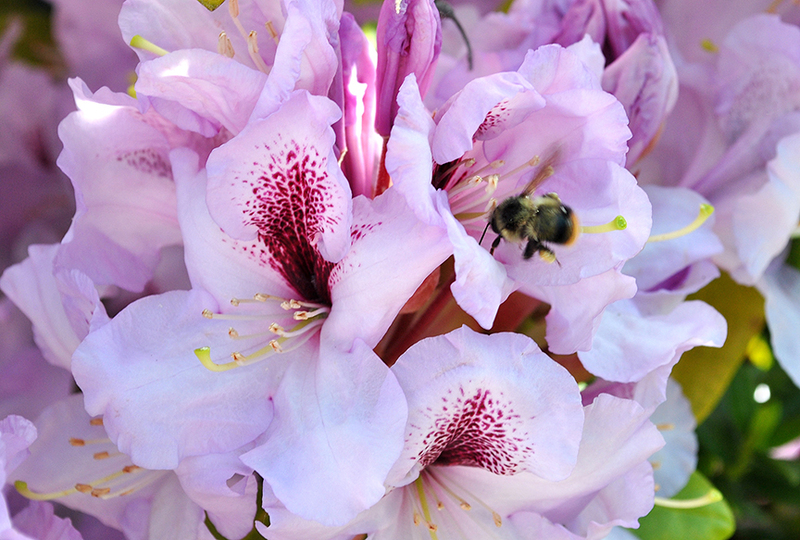 Rhododendrons are a staple in the Pacific Northwest, with native varieties thriving in our forests. 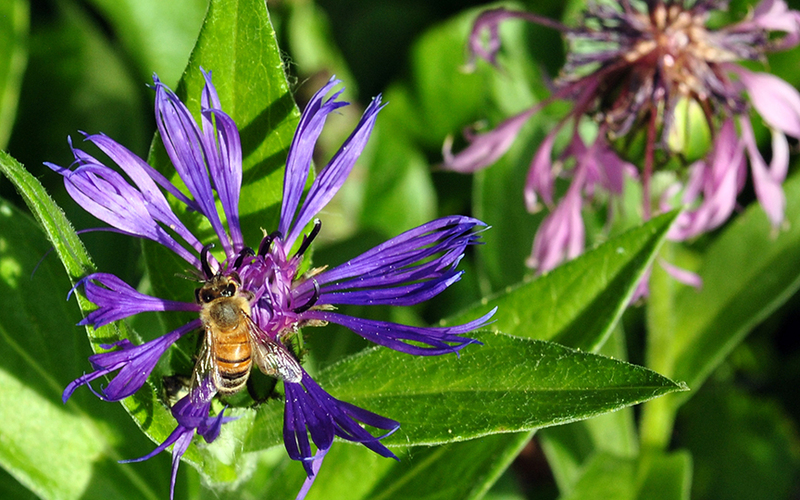 These alas, are not native, but they do a lovely job of attracting pollinators. I have a love-hate relationship with Mountain Bluet. It’s striking when it first blooms, but the stalks fall over quickly, and it spreads quite aggressively. 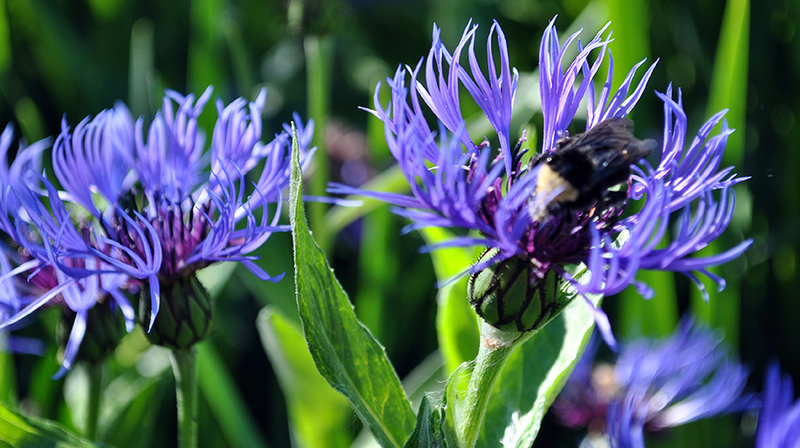 I keep it around because it does such an amazing job attracting a wide variety of bees, but I am quick to cut it back once the blooms are spent. 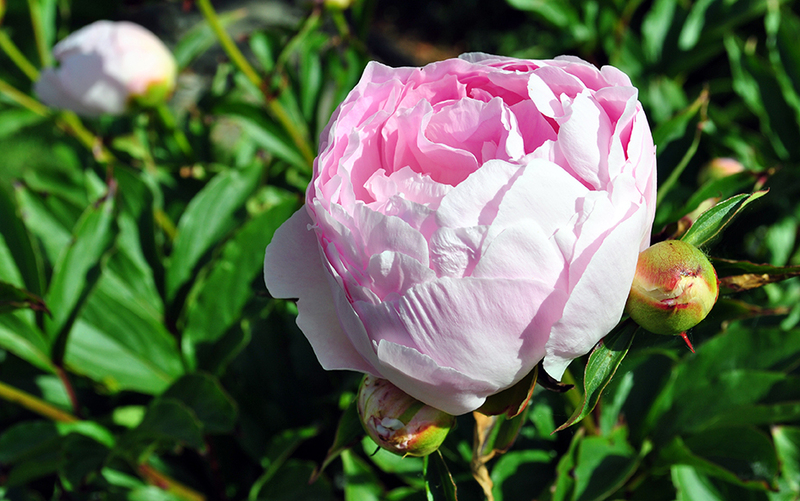 These peonies were the only plants in my 8,000 sq-ft yard when we bought our home in 1993. And, they were planted up against a fence in the shade! I moved them into the full sun they need the first spring. They have thrived ever since! A few native Camass planted about 15 years ago self-seeded to fill a flowerbed. 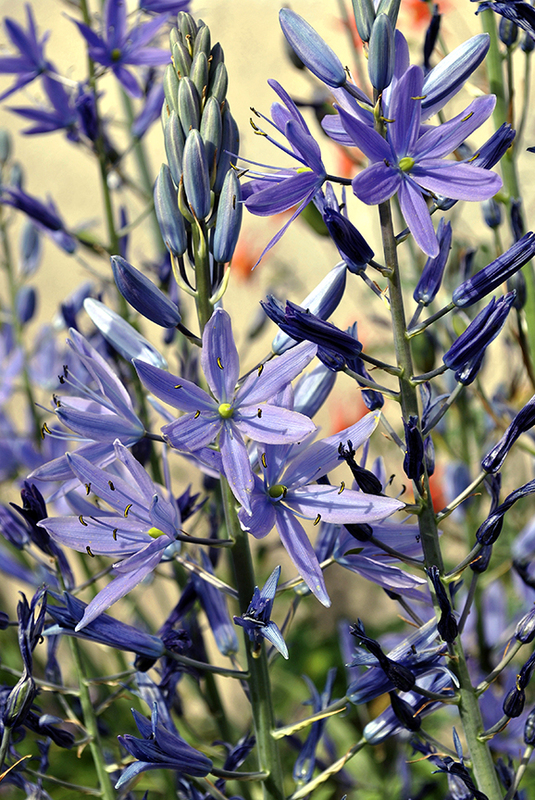 It’s blue star-shaped flowers on tall stalks attract bees, of course, but also Anna’s hummingbirds. Native penstemon don’t do as well as I’d hoped, but their iridescent purple trumpets are lovely, and a favorite of the bees. 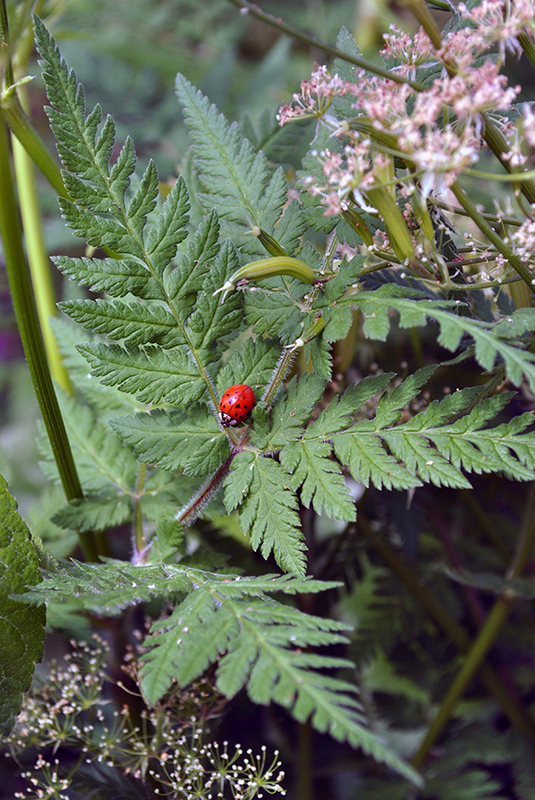 Native Sweet Cecil adds a touch of licorice flavor to salads and seems to be a hang-out for ladybugs (though I don’t see any aphids). It may be a nursery plant, so I’ll keep checking for larvae and pupa. 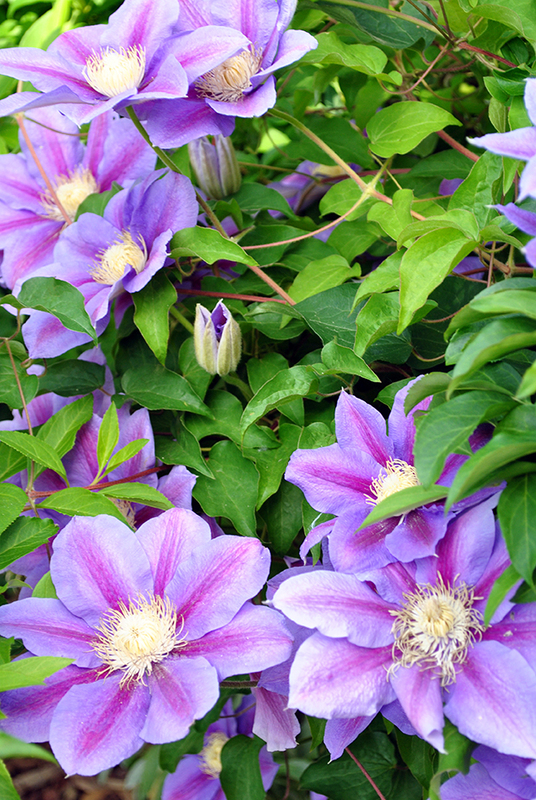 I planted this Clematis early on. It has survived hard freezes and blistering days equally for at least 15 years. I never tire of the striking flowers. And neither do the bees! The next wave of flowers is coming; Calla Lilies, hydrangea, and honeysuckle will be in bloom (to name a few). Stay tuned! Beautiful Andie. I love your garden! I just saw your beautiful blooms from a couple of years ago. They are indeed beautiful. It should be almost time for them to bloom again this year. My garden, unfortunately, it is at the moment covered in snow. « Previous What’s in My Garden in May?